He's one of the rising stars of the game, a young English talent brought up learning slick street skills and honing them in the Bundesliga, and for Borussia Dortmund talent Jadon Sancho, the adventure has only just begun. Almost seven months on following his switch from Manchester City, things have been progressing rapidly for the Londoner famed for his exquisite moments of dribbling mastery. Recently recovered from the ankle ligament injury sustained at the beginning of February, Sancho made a scoring return for England in their 4-1, UEFA European Under 19 Championship qualifying win against Hungary on 21 March. Now back up and running, the promising forward is looking forward to picking up where he left off at Dortmund. Watch: Jadon Sancho is already a Bundesliga Rookie award winner! 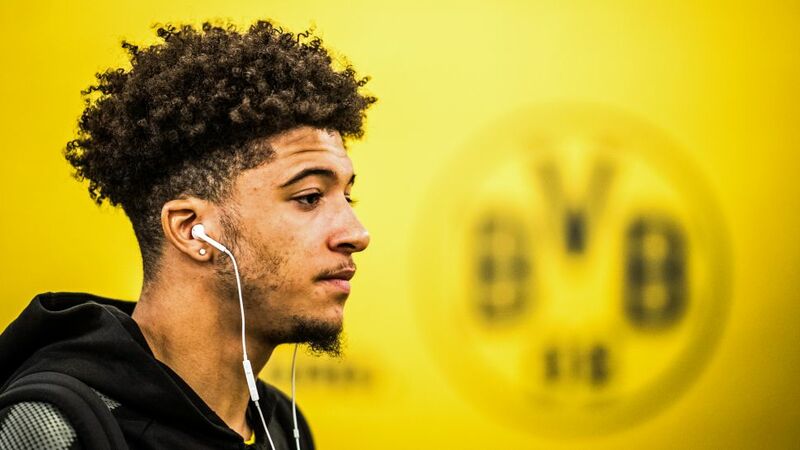 Helping Sancho along the way, a dressing room full of stars have been there to provide plenty of moral support and encouragement on what would for any normal teenager, have been an intimidating experience adapting to a new life, culture and language, all the while playing for one of the world's biggest clubs. “I would say Mari Götze, Nuri Şahin [in particular helped me]. They talk to me quite a lot and obviously [are] telling me to express myself; just be comfortable and be yourself. They take the pressure off, so it’s decent," he explained. Another key figure helping Sancho along is Dortmund coach Peter Stöger, who was interested in taking the youngster to Cologne when the tactician was in charge of the Billy Goats earlier this season. Feeling ever more comfortable in Germany - where he has been joined by his father - Sancho is beginning to appreciate the differences that exist to life in his new footballing home compared to what he had previously been used to. Dortmund's famed Yellow Wall - the vast bank of supporters that stand in the Westfalenstadion's Südtribüne - is one of those phenomenon that is unique in world football, and something that the 17-year-old is growing to appreciate. “Well, when I first saw the yellow wall, I was nervous," he said. "I say the word nervous, it’s not scary, just nerves. I’m still young, so me watching it on TV and then experiencing it is so different. Everyone cheering is just a good vibe. It’s really good for young players to experience that so young. With just seven Bundesliga games to go this term, Dortmund are hoping for an exceptional end to a campaign where an attainable second-place finish would provide be a happy ending to a season that faltered badly after a strong start in the early stages.